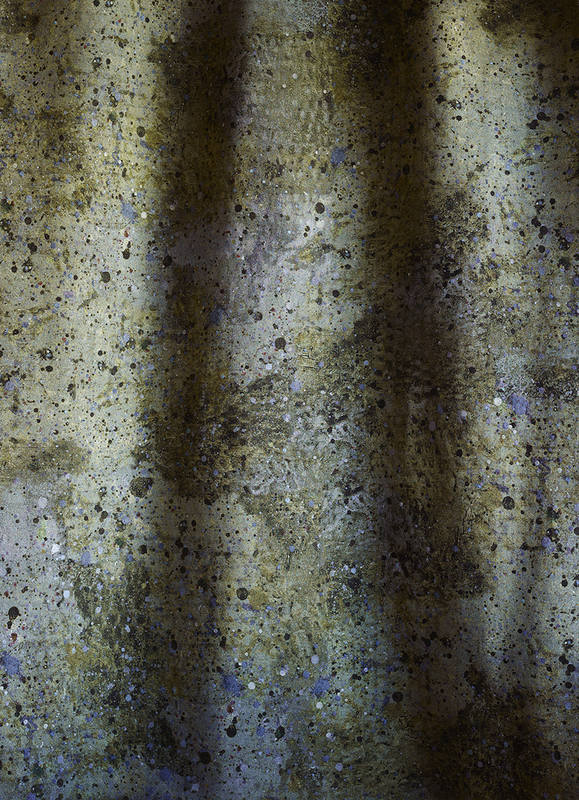 "Splotch" jacquard on lounge and backdrop. Splat, Duck Egg, sheer linen. From Martyn Thompson Studio, “The Accidental Expressionist” is a collection of woven fabrics and murals that celebrates the creative process and the potential of unseen details. The incidental marks of the artist; paint splatters, stains and specks, are elevated and transformed into woven fabrics that speak to the beauty of unconscious creation. 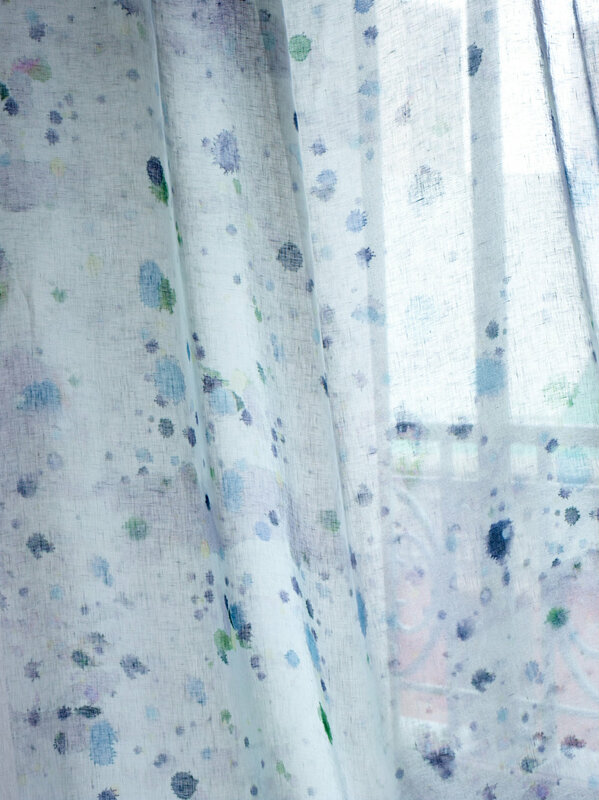 The paint-blotted surfaces left behind from Thompson’s creative endeavors have been collected and photographed; these images have then been woven in 100% cotton on a jacquard loom to form abstract fabrics that are exuberant and expressive of the designer’s hand. 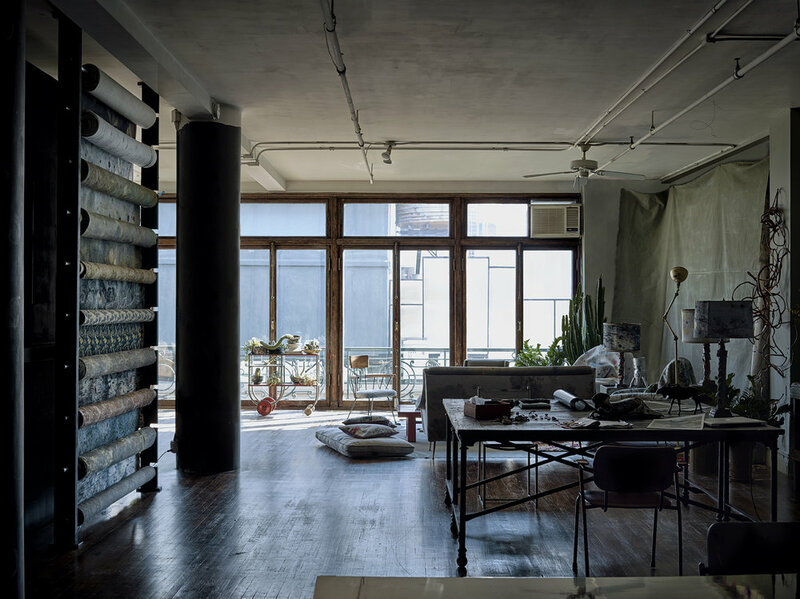 The MTS loft, on Prince Street in SoHo, New York.